The long awaited Playstation VR is now available in the US and Canada, so we jumped right in to see what virtual worlds await us. Unlike the other two primary virtual reality systems on the market, Oculus and HTC Vive, the PS VR is both cheaper and does not require a top-of-the-line PC, which could make this device more consumer-friendly. Though it may not boast the same graphics and currently has a smaller set of games, many are hopeful that this particular system will help the the virtual reality industry break into the mainstream. Typically, we run gadgets and other devices through a 30-day trial and stress test, but because of the Playstation VR being brand spankin’ new and emerging tech, we decided to start off with our initial impressions. In about a month, we’ll check back in with a full, detailed review. This review consists of the setup process, design, specs, and playing through the demo disk and a first go at one of the launch titles, EVE: Valkyrie. Although the video below is filmed in 720p, note that the actual headset itself it does not appear as clear or as visually impressive; however, the immersive experience lets you ignore this factor. Unlike the Vive or Oculus and most certainly the phonebase VR headsets, there is a bit more legwork required for getting the Playstation VR setup. It’s by no means complicated, but you will have a few extra wires hanging around your living room. Beyond the standard instruction manual, it also comes with a quickstart guide that shows you step-by-step how to get up and running. In total, it probably takes about five minutes or so post-unboxing. It’s important to note that the core PS VR unit does not include the PS4 Camera, which is required, nor does it come with the dual Playstation Move controllers (optional). Besides the headset, you’ll get one HDMI cord, a power adapter, the external processing unit, the VR headset connection cable, a mini USB cable, and stereo earbuds (with extra tips). Once all the cords are in place, you’ll have a few mandatory updates on the relevant software. Both the PS VR Playroom and demo disc will require updates, as did EVE: Valkyrie. This is pretty standard for Playstation games though. The biggest challenge you’ll initially face is getting oriented with the headset on. At first the system will walk you through a setup process, help you adjust the headset to your noggin, toss in the earbuds, and then things may temporarily get wonky. If you put your controller down, you’ll have to find it, but luckily the headset shows an indicator of where it sort of is. The other issue you may face is that being tethered to the Playstation feels a bit weird, and the cord will hang off of you. Once you get a feel for how it sits on your head, the weight of the headset is easy to ignore. And yes, you can absolutely wear glasses with the headset. If using it during the day, expect more light to come in through the bottom though. The Playstation VR both undercuts its two primary competitors while coming up a bit light on the technical specs. For $500 ($400 if you have the controllers and camera already), you get everything you need to get up and running with the exception of a Playstation 4. By comparison, the Rift and Vive each cost $600 and $800, and this is on top of a PC that needs some relatively high-end specs. Unlike the Google cardboard style systems, I truly feel immersed in these games. For Google Cardboard and even the iPhone headsets I’ve always felt a bit less connected, but they also relied on subpar phone sensors. Even with the less than polished graphics, it’s easy to trick your mind into feeling like you’re in the game. In fact, when I was playing the demo for RIGS, seeing the controls next to me felt like I should have been able to interact with them. As soon as Sony or someone rigs up some magical power gloves that let you fully immerse and interact with the 3D world, minds will truly be blown. The OLED displays each put out a 960 by 1080 resolution, which feels a bit grainy at times. However, with a higher refresh rate, it does feel a bit smoother, but will not be able to compete with the PC powered units in this regard. For some of the lower end games like Job Simulator though, you can expect both a similar experience and feel. Between the games on the demo and playing the full version of EVE: Valkyrie, it’s already abundantly clear that for the PS VR to come out on top, it will need better content. While EVE is a great first look, the other launch titles are a bit weak. Some games, such as Batman Arkham VR, are more or less overpriced, extended demos combining familiar brands with new unique virtual reality features. On the other hand, games like RIGS and EVE that feature multiplayer will be the real driving factors for sales into the future. Another interesting component to the VR headset, besides immersing you into the game, is that you do not need to mirror your gameplay onto a TV. That means this will give you an opportunity to still play your favorite game, regardless of how violent, without annoying the rest of your family or exposing it to children. Overall, especially for the total price tag, the Playstation VR is both an immersive, fun, and exciting look into the future of gaming. 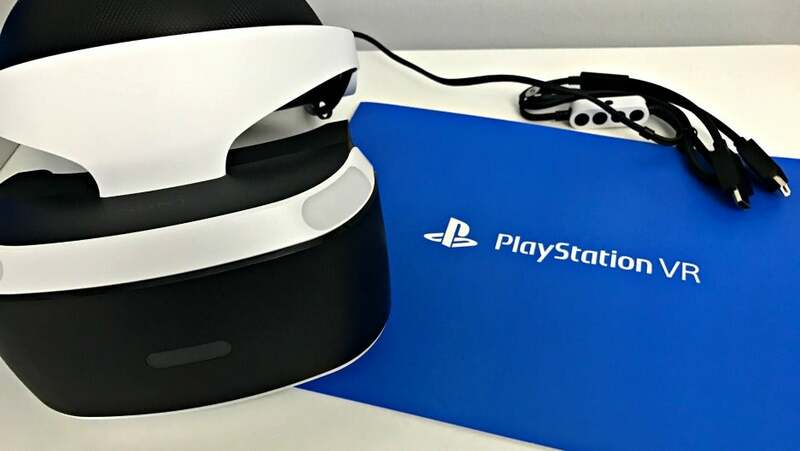 Though it remains to be seen if the PS VR will help the industry break into the mainstream, you can expect many people to have this on the top of their holiday wish list if they already own a Playstation 4. Welcome to wire city, populate, your living room. One of the initial issues that come along with the more advanced virtual reality systems is that you’re likely to be tethered to something. As is the case with the Playstation VR, you’ve got a bit of a bulky cord hooked up to your Playstation 4, and then hanging off of your head or shoulder. Once you are immersed in the game it’s easier to ignore, but at first it feels a bit odd. Besides the plethora of new wires, everything else looks great. The headset is probably the most comfortable I’ve tried on so far, and it being less than two pounds makes it easier to forget. Like other headsets, the PS VR is not immune to the infamous face smudging. As you initially adjust how it fits on your head, expect the need to remove it and clean the lenses before playing. Once you’ve got it on your face you shouldn’t have to worry too much about this. One concern many people have with virtual reality headsets is queasyness. Although I did self impose this issue while flying a spacecraft in EVE, doing barrel rolls and loop de loops, in regular gameplay I had no issues with stability of comfort. I did get some initial eye strain as well, but I can’t rule out that my wearing glasses could have affect this. Overall the design allows the Playstation VR to be both comfortable and easy to adjust, while not feeling too weighty. The ability to use your own earbuds is also a nice touch, as some other systems have them built in. Based on our initial impression, should you buy the Playstation VR? Hell. Yes. When we check back in next month, we’ll come back with a full breakdown of the system with pros and cons, but simply based on the cool, fun, and unique factors, we give the Playstation VR two thumbs up. If you also just want to give the PS VR a whirl, you can find a location to demo it in most major cities.